Photo of the day: “BLESSED ASSURANCE” GOING TO CHURCH (THEATER) WITH CICELY TYSON – On Friday night I had the great privilege of seeing one of the greatest actresses of the present day – Cicely Tyson give her final stage performance of her career in Horton Foote’s play “The Trip To Bountiful.” It has taken me a full day to recover from the emotional reaction to this stirring performance. In my 57 years, this ranks as the single top performance I have ever seen on stage. I have seen Ingrid Bergman, Katherine Hepburn, Jane Fonda, Patti Lupone in Evita, Jessye Norman, Elaine Stritch, many of the great others and even the great Bette Davis on stage, but this is the most emotional performance I have ever witnessed. Cicely Tyson’s entire being transforms into the character she portrays of 88 year old Mrs. Carrie Watts. 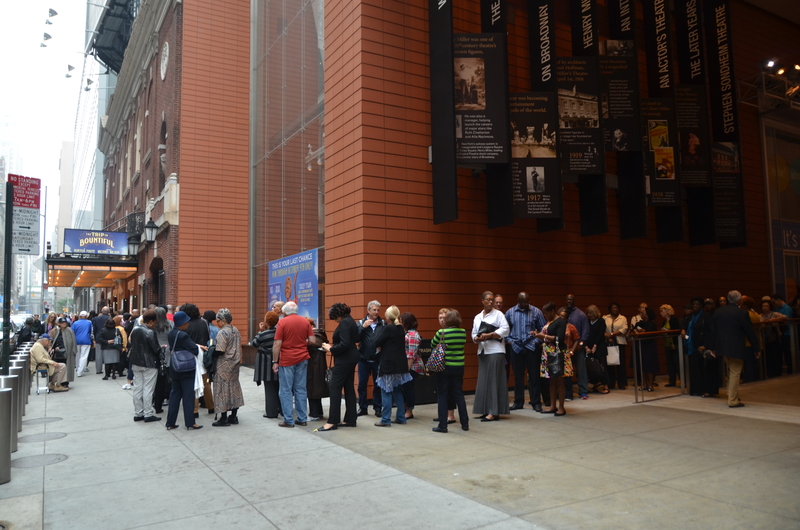 “The Trip To Bountiful” resonates so much now to the sold out performances because it speaks to our fast moving times. Mrs. Carrie Watts (originally played by legendary Lillian Gish on televison) wants to go home one more time to see her birthplace home in the town of Bountiful. She lives in 1953 Houston, Texas with her son and his self involved wife (Vanessa Williams), both of whom prevent her from going home for two reasons: her (supposed) weak heart and most of all, her social security check her son’s wife covets. Carrie finally slips out of the house and to the Greyhound bus station only to find out Bountiful doesn’t seem to exist anymore. Determined, she boards the bus for the next nearest town. On her way she befriends a young newly wed woman (Condola Rashad) to whom she reveals her story. As they arrive in the nearest town’s bus station, Carrie discovers she has lost her purse with her money (.35 cents), social security check and the truth that no one is alive anymore in the town of Bountiful. This seemingly to be the end, Carrie cheers herself up and the young woman by determinedly singing the hymn “Blessed Assurance.” And then, an unheard of phenomena occurs. 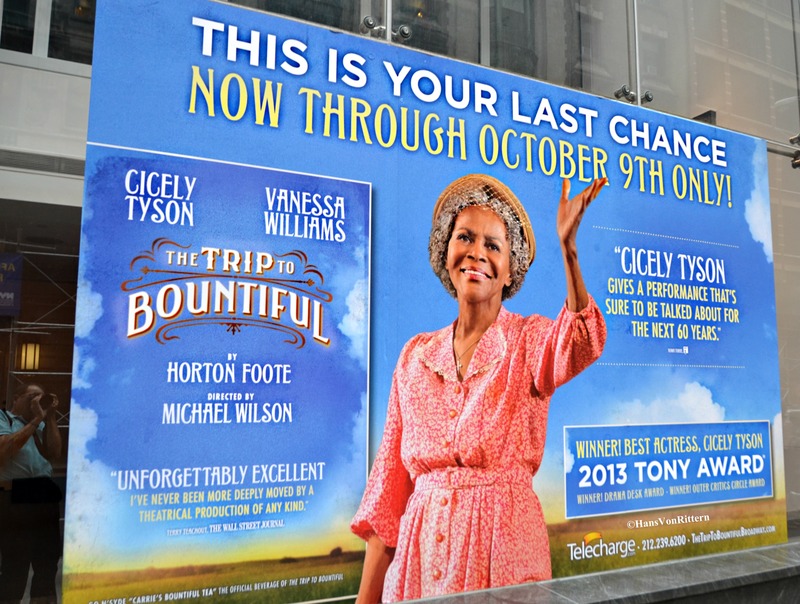 Cicely Tyson’s character is so convincing and the hymn so moving – the audience softly starts joining in. There is no orchestra, this is a dramatic play. 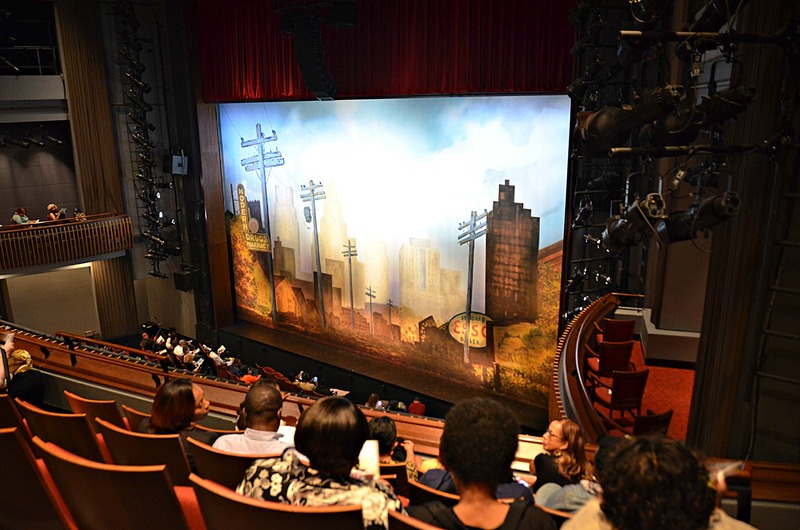 Breaking through the fourth wall, the souls of the audience are joined with the spirit of Cicely Tyson’s character. I was moved to streaming tears of wonderment and joy. The joy of witnessing the lifting of souls to “Blessed Assurance” and a divine performance, the likes of which I have never seen. See it from my perspective: I am white, sitting in an audience that is mostly of color, filled with many church going women. I did not know the hymn Cicely sings is an actual hymn. The audience does. It is a faith restoring hymn that has become a staple in the black churches of America, it is a part of their upbringing. As Mrs. Carrie Watts/Cicely is trying to lift their spirits up and she starts to recite, then to hum and then sing the hymn, this ‘chorus’ seemed to emerge. I didn’t understand what the effect was. A recording? A chorus back stage? In that instant you realize you are part of an extraordinary unprecedented experience as the audience by their being so moved, joins in. I have never experienced anything like it. It has been reported in The New York Times, this phenomena of, for first time in theater history, that the audience joins to share the moving spirit of the encouraging moment. 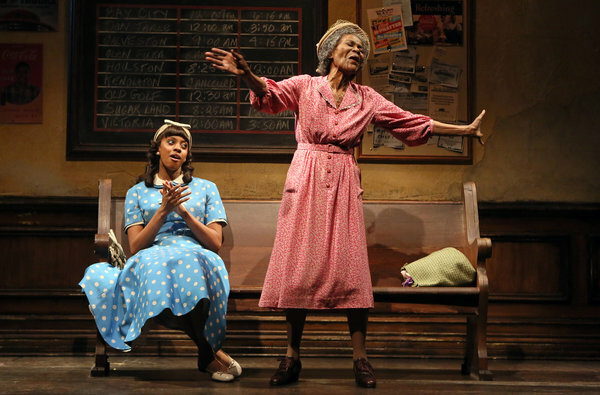 Cicely’s body language as the old 88 year old woman, clasping her handkerchief, her face joyfully beaming, waving her hands in the air to god, is a vision I will never ever forget. I was shaken by the experience for the entire next day, making me think – what are we all rushing towards so quickly, only to run past what we are looking for? It made me wish for a gentler time, a quieter time, and to treasure the present before it’s gone and we wind up having to search for it, only to find it gone. I too yearn for a trip to Bountiful which alas seems to be gone. This great actress, who has given us ‘The Autobiography of Miss Jane Pittman’, ‘Roots’, ‘Sounder’, ‘A Woman Called Moses’ – the story of Harriet Tubman, and recently ‘The Help’, has given the world an incomparable stage moment at age 80 (some say 88). In the final moment of the play, her son and daughter have caught up to her to bring her back home, forced to return, she is peaceful that she has seen her home in Bountiful one last time. Mrs. Carrie Watts waves and says “goodbye” to her home before she has to head back to Houston, then, turns to the open neglected farm fields (the audience) and waves, quietly and softly says “goodbye.” Curtain, the end. The overwhelming meaning and emotion of that moment has moved me beyond compare. This entry was posted on October 6, 2013 by newyorkcityinthewitofaneye. It was filed under DAILY PHOTOS WITH STORIES OF NEW YORK CITY and was tagged with "Blessed Assurance" hymn, "The Trip To Bountiful", 'A Woman Called Moses' - the story of Harriet Tubman, 'Roots', 'Sounder', 'The Autobiography of Miss Jane Pittman', 'The Help', 1953, audience joins in song, black churches, black heritage, Blessed Assurance, Blessed Assurance lyrics, Broadway audience participation, Broadway history, Broadway legends, Carrie Watts, celebrities, Cicely Tyson, Condola Rashad, Elaine Stritch, gospel music, Greyhound bus, Hans Von Rittern, Horton Foote, Houston Texas, ingrid bergman, Jane Fonda, Jessye Norman, Katherine Hepburn, Lillian Gish, Manhattan, memorable Broadway scenes, Mrs. Carrie Watts, New York City, New York photo, nostalgia, Patti Lupone in Evita, Stephen Sondheim Theater, theater legend, theater phenomena, Times Square, Vanessa Williams, wanting to go home again.